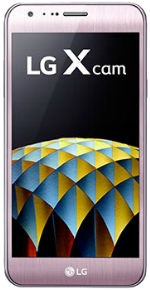 The LG X cam is a 4G LTE smartphone that comes with a 5.2-inch IPS LCD display panel with a 1080x1920 resolution and 424ppi. Powering the device from within is a 1.14 GHz Octa-Core MediaTek MT6753 processor with 2GB of RAM and the Mali-T720 MP3 GPU. 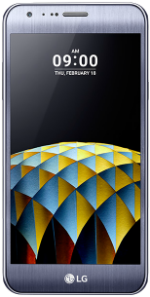 It comes with built-in storage of 16GB, expandable by up to 2000 GB via a microSD card. Camera-wise, the phone is equipped with a dual-camera configuration on the back: a 13-megapixel main camera and a 5-megapixel to support it. Video recording is 1080p HD quality. In front, there is an 8-megapixel camera for selfies and video calls. The device includes a non-removable 2,500 mAh Li-Ion battery on the back and NFC. Upon release, the phone runs on Android 6.0 Marshmallow OS. It is available in four color-- Silver, Gold, White, and Pink Gold.